Reassurance shield at the beginning of 135. 22 miles to junction I-90. 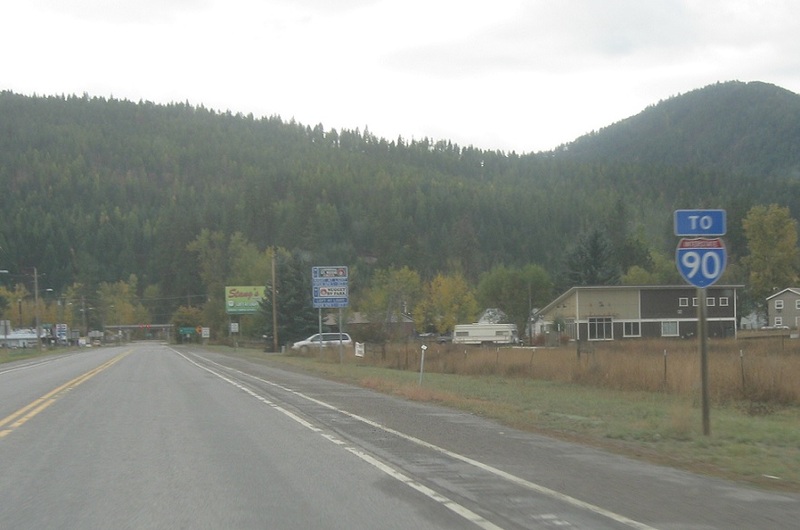 21 miles later, we’ll approach the town of St Regis and Interstate 90. Stay on 135 to get to I-90, visible in the distance. 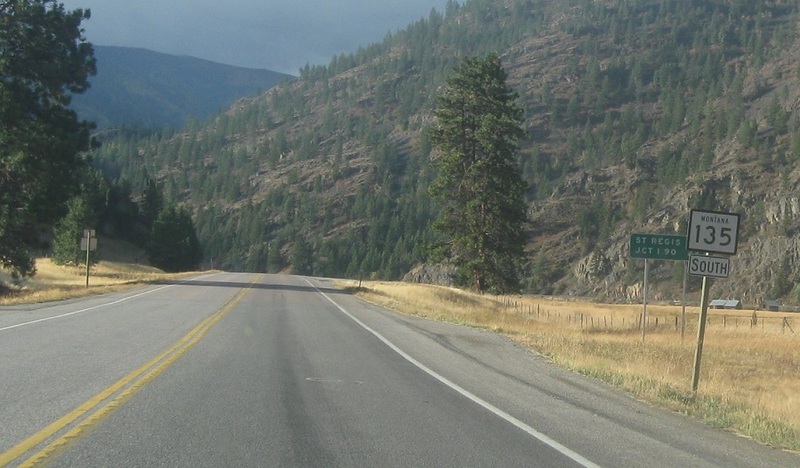 Stay straight for CDA and Missoula. The stop sign used to be US 10, so this sign is likely a relic from when I-90 was first built. 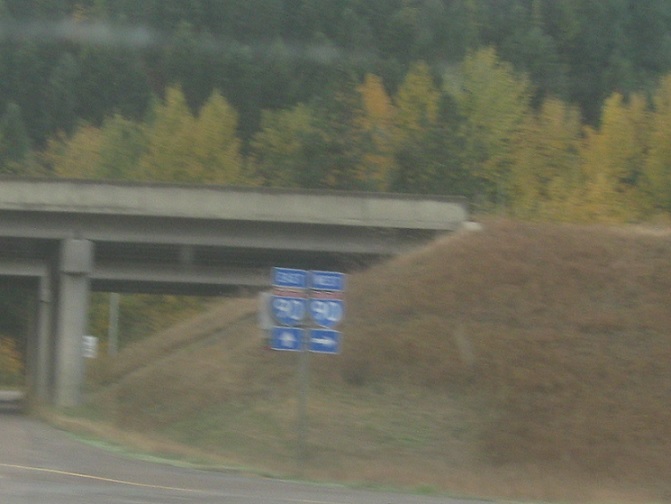 Follow I-90 west to Coeur d’Alene and I-90 east to Missoula. 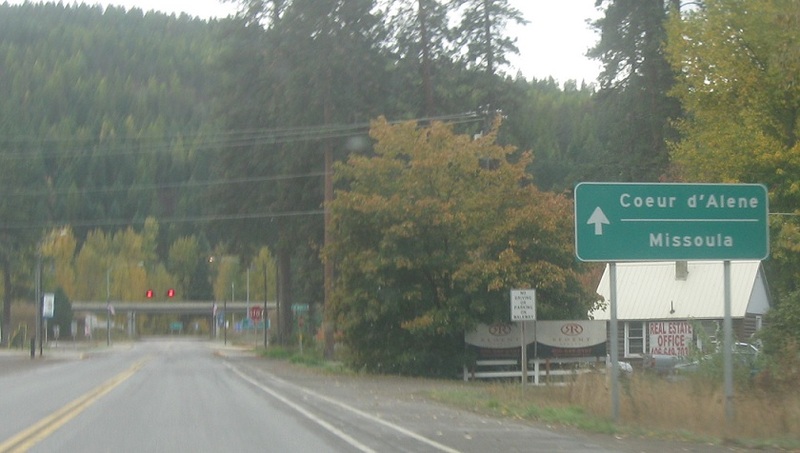 Turn right for I-90 west. Stay straight for I-90 east. 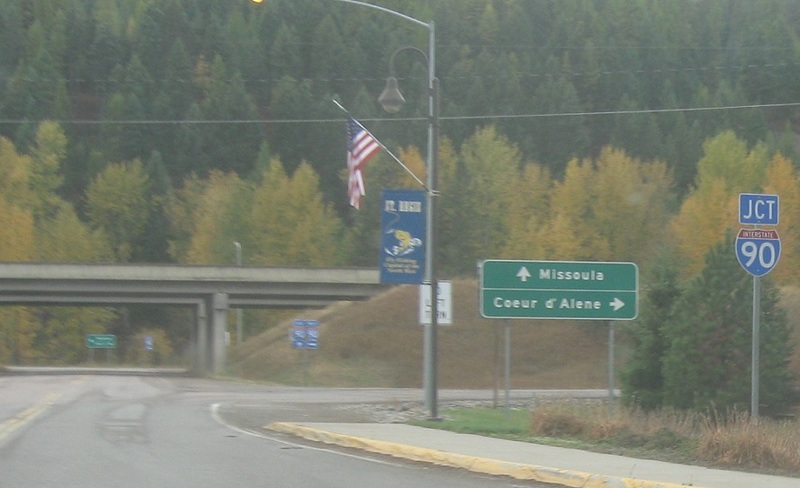 Montana 135 ends.